Described as ‘the antithesis of the industrial factory loaf’ by Hugh Fearnley-Whittingstall, pain de campagne (French for ‘country bread’) is my favourite everyday loaf. 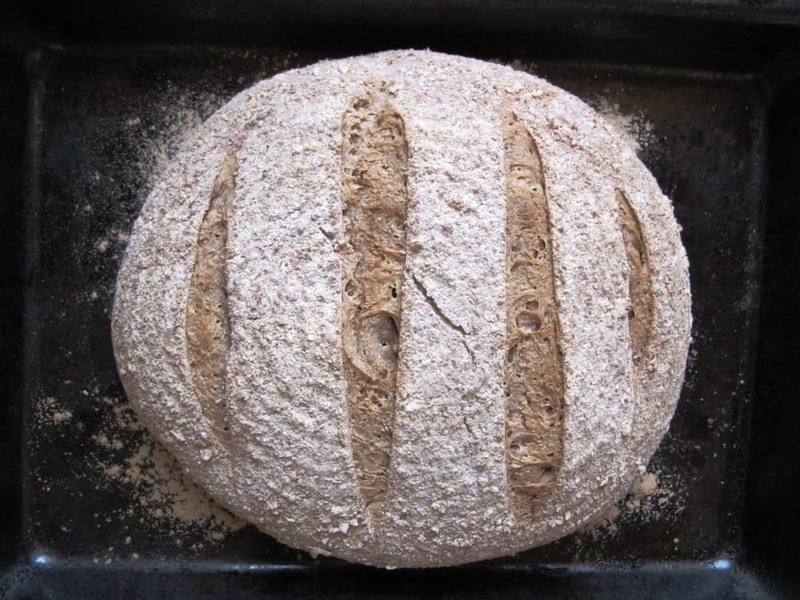 This pain de campagne recipe using sourdough starter for leavening the dough is a delightful loaf of bread, guaranteed to please your family, friends or dinner guests. 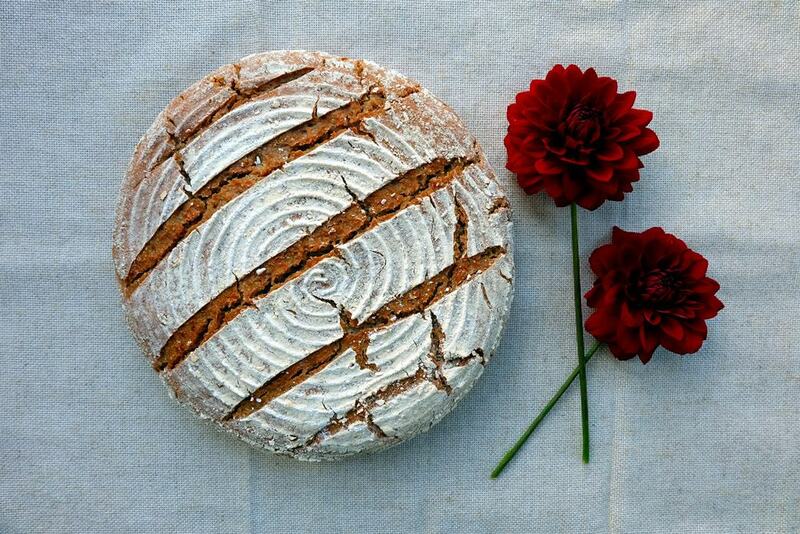 What is pain de campagne? Pain de campagne is a large round loaf of sourdough bread typically made with a combination of white and wholemeal flour. I always also add in some rye flour to enhance the flavour of the loaf. For me, the French country boule is the purest and most fundamentally satisfying loaf of bread there is. 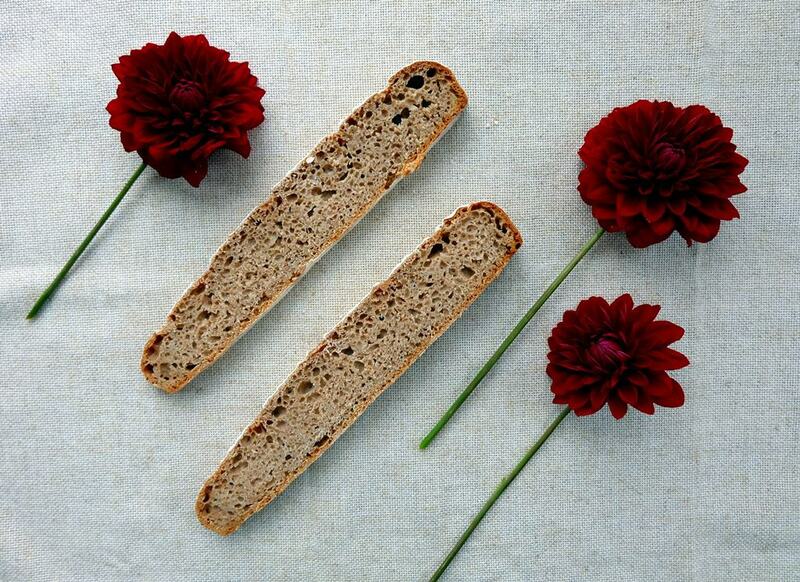 I love the chewy crumb, the thick crunchy crust and the characteristic wild bread aromas. I found a way to conveniently fit pain de campagne recipe into my daily routine. Although it takes about forty hours to prepare and bake the bread, the actual active working time spent on the loaf is no more than an hour. 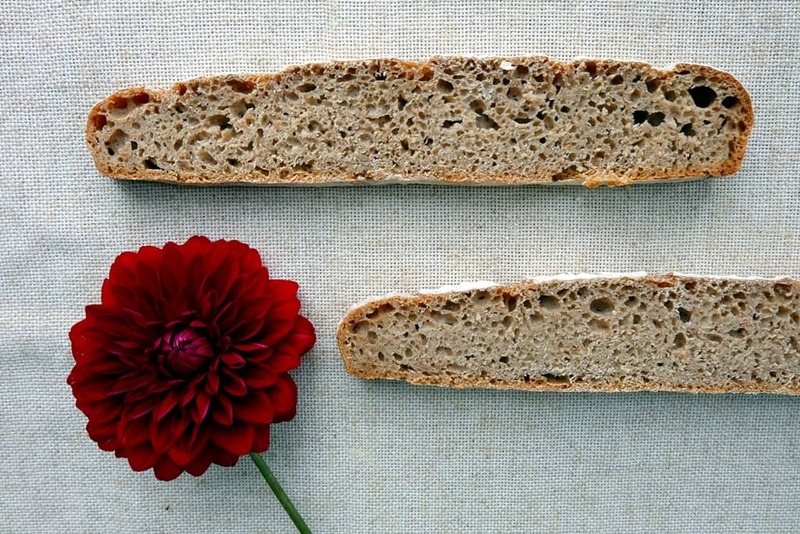 The time spent preparing is rewarded with a loaf of brilliant longevity as the extra fermentation time traps more moisture in the dough and keeps the bread fresh. 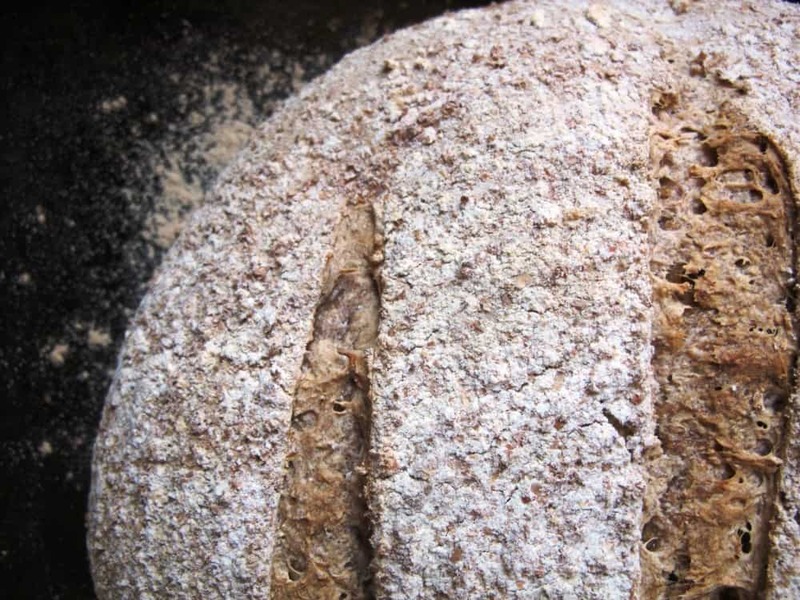 Sourdough also contains mold-killing compounds which act as natural preservatives. 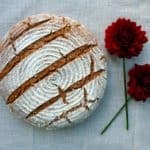 If you are based in Edinburgh and looking for a sourdough starter, I’m happy to share some of mine! I have tried to bake pain de campagne with baker’s yeast instead of sourdough, but the taste, texture and flavour are just not the same. My pain de campagne recipe offers a guideline for timings, but you can easily adapt this to fit around your schedule. In terms of dough hydration for this pain de champagne recipe, I'm working with 71.5% but feel free to adjust this slightly based on the flour you are using or personal preference. In a medium bowl, combine all sourdough ingredients, cover with a lid and keep at room temperature until the next day. Combine all main dough ingredients and knead for about 10 mins. The dough should be quite soft, it should still slightly stick to hands and worktop, so carefully add a little more water in case the consistency is too tight and firm. Equally, if the dough is too wet to be workable, carefully add a little bit more flour. In general, for pain de campagne, wetter dough is better dough but it should be easy to work with and definitely not runny. Shape the dough into a pile on your worktop and cover with a plastic bowl. Moisten the rim of the bowl before placing it there. The dough is going to expand and flatten and will stick to the bowl otherwise. Leave the dough for about an hour. Use your dough scrapers to stretch and fold the dough a few times to tighten its structure. Prepare a plate with wholemeal flour, then pick up the dough and dip it into the flour, turn it over to ensure it's completely covered. Transfer the dough to a liberally floured round proving basket, seam-side up. Cover the proving basket with a polythene bag and put it into the fridge. Make sure you don't put the bag on too tightly, the dough shouldn't stick to the plastic bag once risen. Day 2 (7pm) - Final prep and bake! Take the proving basket out of the fridge and leave the dough to warm back up at room temperature for about two hours or so. Line a baking tray with baking paper or preheat your La Cloche baking dome if you have one. 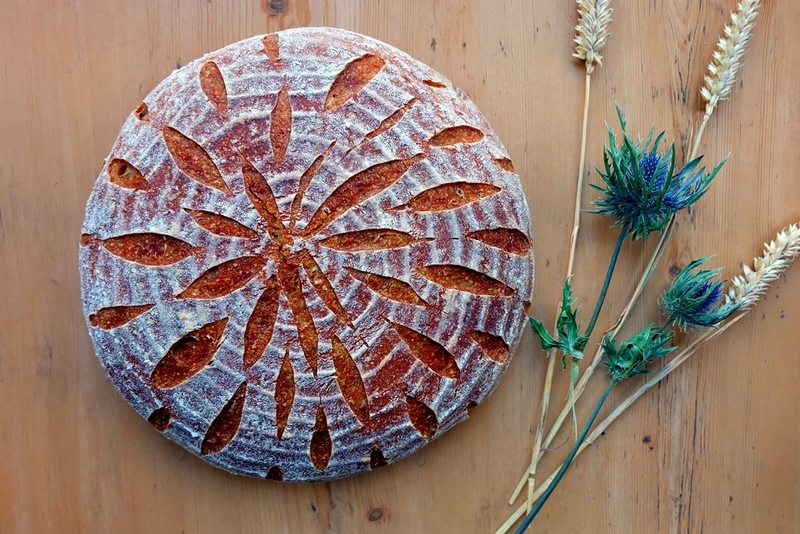 Swiftly but carefully move (flip over) the loaf from basket to the tray or bottom of your baking dome. Cut some slashes into the top to give it a nice pattern.